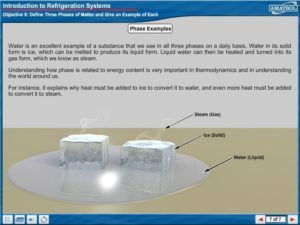 The model Thermal Technology 2 Learning System (96-TT2) teaches three types of thermal systems: air conditioning, refrigeration, and heat pumps. Students will learn industry-relevant skills including how to operate, install, analyze, and adjust these systems. The 96-TT2 is a working system with industrial components that can perform heat pump, air conditioning, and refrigeration systems operation. These components are mounted on a mobile workstation and supported by instrumentation, microprocessor control, student learning materials for both theory and lab, and teacher’s guide. 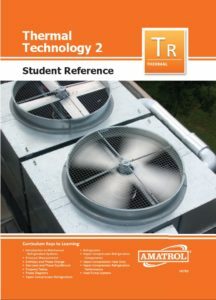 The 96-TT2 uses the principle of vapor compression and offers three different types of expansion methods, enabling students to explore a wide range of thermal application and system designs. Components are arranged in a breadboard fashion on the workstation to make it easy for students to follow the system flow and understand its operation. Manual valves are provided throughout so students can create faults and change system performance. Extensive instrumentation is included. Instrumentation Features – The 96-TT2 includes many instrumentation features to observe and monitor system operation. Sight glasses are located at three points on both the evaporator and condenser coils to show how the refrigerant changes phase as it passes through each coil. Pressure and temperature gauges are placed at the inlet and outlet of the condenser and evaporator to determine heating and cooling performance. 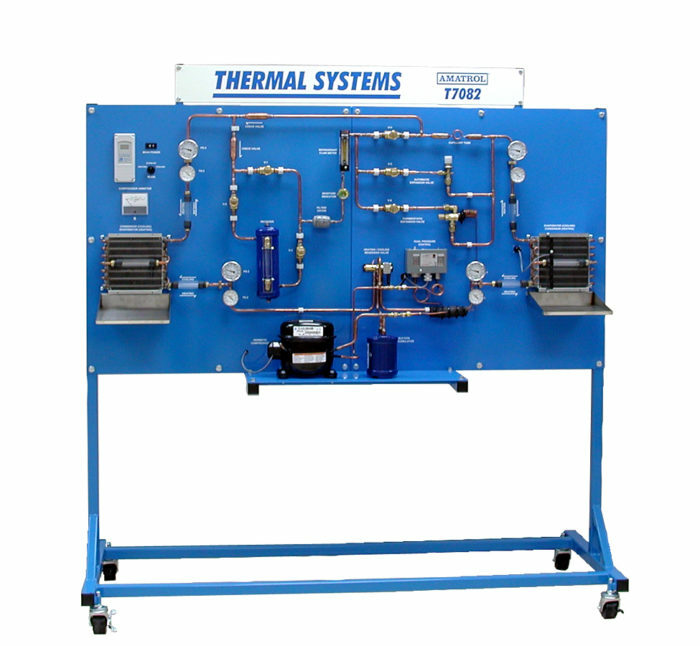 Other teaching components include moisture indicator, panel-mounted compressor ammeter, and flow meter. Variable Conditions – The 96-TT2 can replicate a variety of performance conditions with features such as heavy-duty industrial blowers attached to the condenser and evaporator coils and manual valves placed throughout the refrigeration system. The blowers have dampers that can vary the air flow across the coils, showing the effect of varying heat transfer rates. Manual valves are used to restrict the flow of refrigerant and change the amount of refrigerant in the system by allowing it to flow into or out of the accumulator. Modern Temperature Control – The 96-TT2 uses a modern microprocessor-based temperature control of the air temperature at either coil. It includes a programmable keypad for both heating and cooling modes, electrical reversing valve, RTD-type remote temperature probe, and digital display. The display shows current temperature and set-point.